God granted the German Sisters who survived years of life in the cruel concentration camp in communist North Korea, the faith and courage to return to the war-torn country, the land of the martyrs, South Korea. Their self-sacrificing dedication was rewarded by numerous numbers of young vocations which gave new foundation in Daegu a rapid growth. It was already in the priory chapter in 1971, the suggestion to make a new independent priory in the hope that true Benedictine spirituality could be better lived in smaller community, was up for discussion. After 15 years of deliberations, the priory chapter in 1986 finally came to a decision to establish a new priory in Seoul. 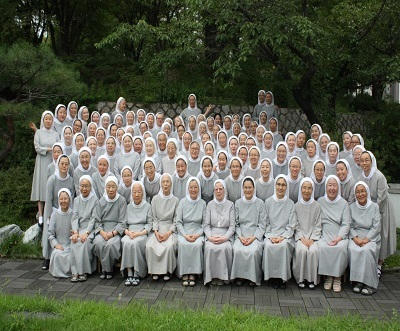 On Nov. 16, 1987, Seoul Priory dedicated to St. Gertrud was born with 72 Sisters and 9 stations, mainly located in and surrounding area of Seoul, the capital of South Korea. 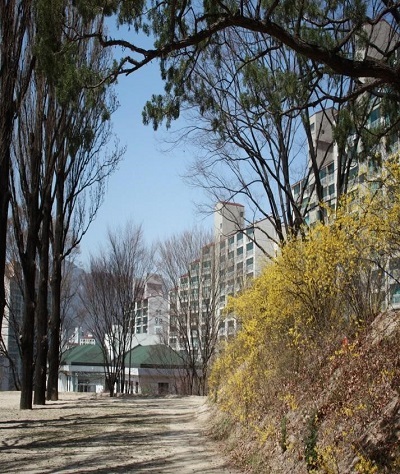 It started as an independent priory with its novitiate which opened with 3 postulants from the Daegu Priory immediately. On Oct. 13, 1989, the construction of Seoul Priory House located in the compound of SanJi Retreat Center which had served as the seat of the new priory, was completed and blessed. 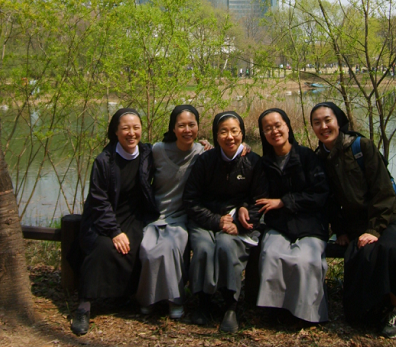 The Church in Korea needed Sisters in many fields of apostolic work, and the Lord sent us a good number of vocations for the new priory to expand and develop. Since the founding year, we have established 7 stations for parish ministry and a clinical pastoral center in the Seoul National University Hospital. We also founded the first oversea station in respond to the spiritual need of Korean immigrants in USA. 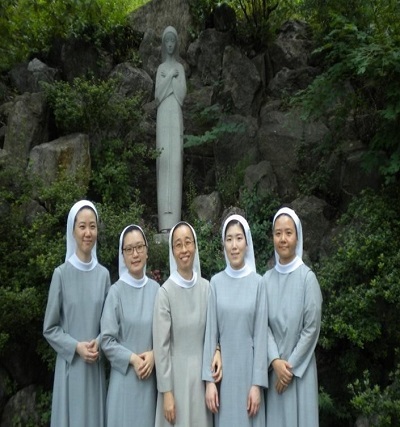 Sisters of this station take care of Korean nationals in New Jersey and New York areas. 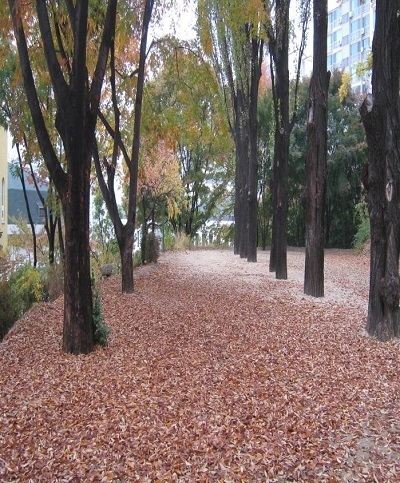 In 1991, we built a socio-pastoral center in the periphery of Seoul to welcome the children from broken families. 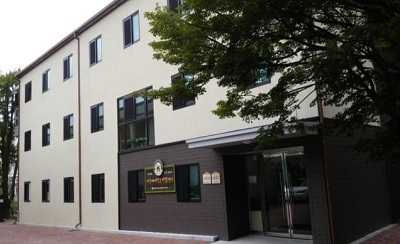 This center has recently been renovated to house a counseling center after being used as a temporary shelter for North Korean refugees for some years. 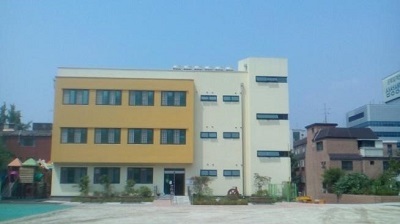 In 1993, St. Joseph House for the elderly with hearing impairment was constructed in Wongog, southern province of Seoul. Caritas Children’s Center started offering special education to the children with multiple handicaps, and Suyu Soup Kitchen opened to distribute free hot lunch for the poor elderly since 1998. 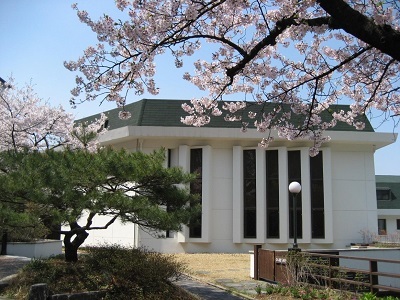 In 2000, Seoul Priory House was finally able to extend its space with new annex connected to its main building. Thanks to the Passionist Fathers who had generously rented their seminary house for our young Sisters of growing community for 8years! In 2004, Bundo Village, a nursing home, was built in Pocheon. 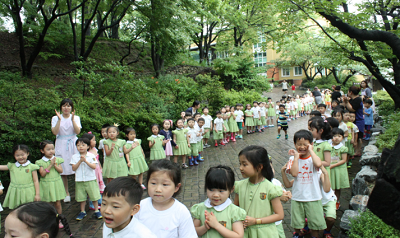 Two years later, in the compound of the Priory House, Seoul Benedict Kindergarten started providing Catholic education to the children of the neighborhood of the convent which was then surrounded by newly built apartment complex. Counseling services by our Sisters for the children were followed. Benedict Education Center in beautiful countryside of Gicheonri was set up in 2010. It aims to offer nature-friendly experiences as well as cultural and spiritual programs. Upon the invitation of Bishop Peter Kang of Jeju diocese, Benedict Counseling Center was blessed in 2014. In 2015, we built Benedict Center in the compound of the Priory House to accommodate a counseling center, a Bible school, and a place for our oblates. 28 years after its beginning, 133 Sisters (128 final professed, 5 juniors) actively engaged in prayer and work in the Priory House and 15 local houses. We thank God for giving us still some good vocations, though rapid decline in number as almost all religious congregations experience nowadays in Korea. We proclaim the good news in 10 parishes, a retreat house, a Bible school, a pastoral center in a hospital, and a mission center for hearing-impaired persons. We care for the disabled in a children’s center, a special school, a house for the hearing-impaired elderly. Every day the aged and the poor are welcomed in our nursing home, and in our two soup kitchens. Sisters endeavor to lay Christian value education in 5 kindergartens and an education center. We work for spiritual need of Korean immigrant communities in NJ and NY areas in the States, while trying to give assistance to immigrants in our own country. We are proud of two renowned artist Sisters who design and adorn many chapels and holy shrines with their sacred artistic works. We have sent 8 missionaries to 4 priories, and always give serious considerations to respond to the need of inter-priory sharing. 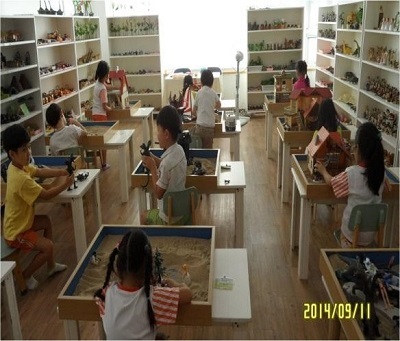 Recently we put our special efforts in counseling ministry mainly by means of Sandplay therapy. 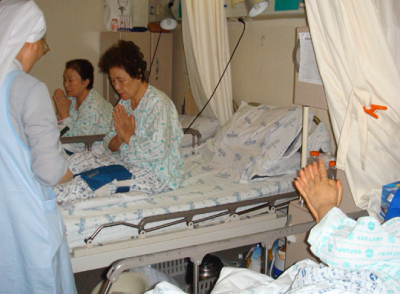 It is an answer to the urgent need for spiritual and psychological healing ministry in Korean society and a fitting way by which aging Sisters can effectively help clients based on their life-long experience of faith and human understanding. We opened 4 centers with one more in preparation. 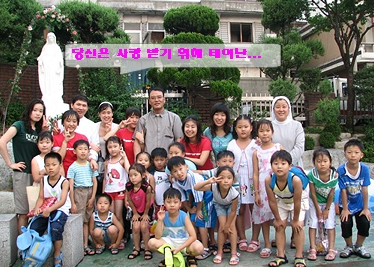 From the foundation days, Seoul priory intended to have solidarity with the poor, giving more considerations for them as prescribed in its Priory Statutes. Thus we respond to the need of the poor in caring for the hearing-impaired persons, mentally handicapped, and children with multiple disabilities in special facilities. We feed free hot meals in two soup kitchens. In parishes, Sisters visit and help the poor and lonely. Our kindergartens and counseling centers provide favors to children from multi-cultural background, poor or disadvantaged families. Children from broken families are being taken in our two group-homes. We are grateful to the Lord that invitations for more fields of apostolate do continue to arrive, and we know that one of the important criteria for a discernment process should be whether the new work would benefit the poor.